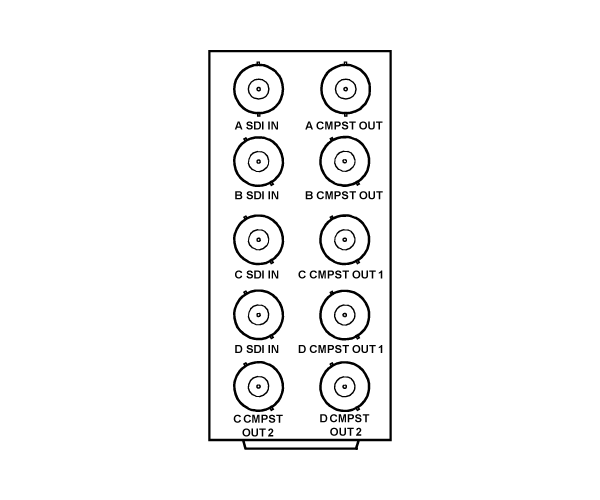 The 9018 is a quad 4:2:2 SDI-to-analog composite converter. Card-edge gain, status LED, and configuration switches allow adjustments without having to remove the card from the frame. Configuration switches allow access to setup on/off (NTSC only), VBI blanking on/off and test color bars on/off. Other features include true sync output levels of -300 mV, low power consumption, and remote monitoring (including power and temperature) using DashBoard™ software. You are currently requesting a quote for 9018.